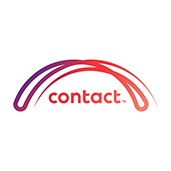 At Contact we manage our business in a way that balances our economic, environmental and social responsibilities. We are committed to making, selling and using electricity responsibly and sustainably. As well as being a significant retailer of electricity and gas we are one of New Zealand's largest generators of electricity. Our generation strategy is diverse to ensure energy supply for future generations. We use, geothermal, natural gas (thermal) and hydro resources to generate power. We continue to reduce our impact on the environment by sustainably managing our resources and focussing on renewable generation. As well we partner with organisations like DOC and NIWA to protect the natural environments where we operate and we support the communities where we have a presence through our many and varied sponsorship programmes.